Avid gardeners are usually nature lovers and nurturing souls. We attempt to bring back damaged and forgotten plants and we feed birds. Gardeners were among the first to call for "saving the pollinators" and gardening specifically to save the beautiful Monarch butterfly. Focus on the plight of the Monarch can cause us to overlook the fact that many other less glamorous and less well known species of bees and flies are being disturbed and displaced as well. We should take steps to make the home garden a more inclusive oasis. Native plants have become recognized as important plants to foster pollinators in these gardens, but many other plants are worth trying, too. Most people view pollinators as being synonymous with bees, usually thinking of the honey bee. However, bees don’t pollinate everything, and many native insects from bees to wasps and flies are also needed. There is growing awareness of the Colony Collapse Disorder striking down so many honey bee hives, but much less is known about what has happened to wild bees. Many gardeners feel they are seeing less of all bees in the last decade and would like to reverse the trend. Research has pointed to the extensive use of various chemicals in agricultural practices that remove habitats or alter the plants that pollinators rely on. Systemic insecticides were also implicated. The scientific consensus is that there are multiple problems combining to decrease populations of pollinating insects. We as individual gardeners won't be able to make a huge difference in large scale agriculture but we can create safe habitats for as many different pollinators as possible by creating a haven of plants they thrive on. Collectively we can make a difference! What is included in this diverse group called pollinators? Honey bees are actually not native to our area but have naturalized. Native bumble bees are also helpful to home garden crops (tomatoes , peppers, squash and strawberries for example). There are many different native bees, most of which are don't live in hives. 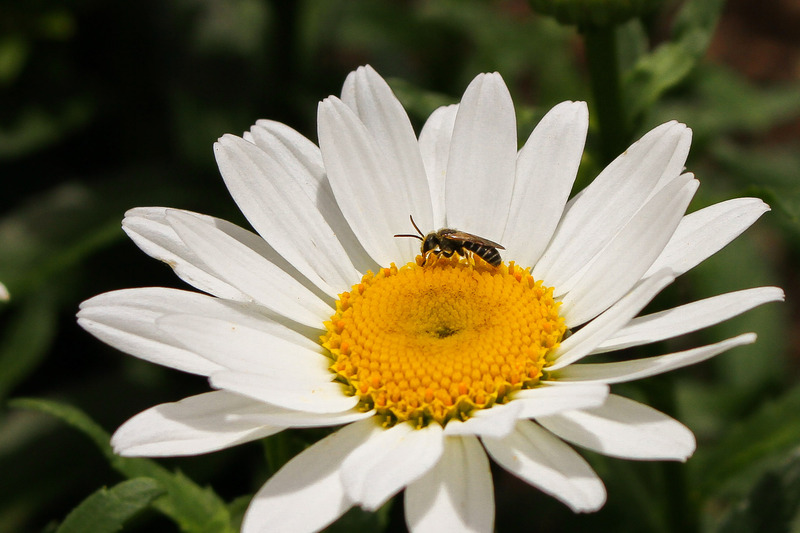 Native bees evolved with our native plants and some need specific flower types to survive while others are generalists. Quite a few flies, specifically Hoverflies and Beeflies, are pollinators that evolved along with the native plants. Many of these flies look just like a bee. Butterflies and several moths are pollinators. The most familiar moth pollinator is the Hummingbird Moth. Night time pollinators include moths and bats. Among birds the hummingbird is the best known, especially here in Tennessee. In other areas there are other bird species who visit flowers and carry pollen. 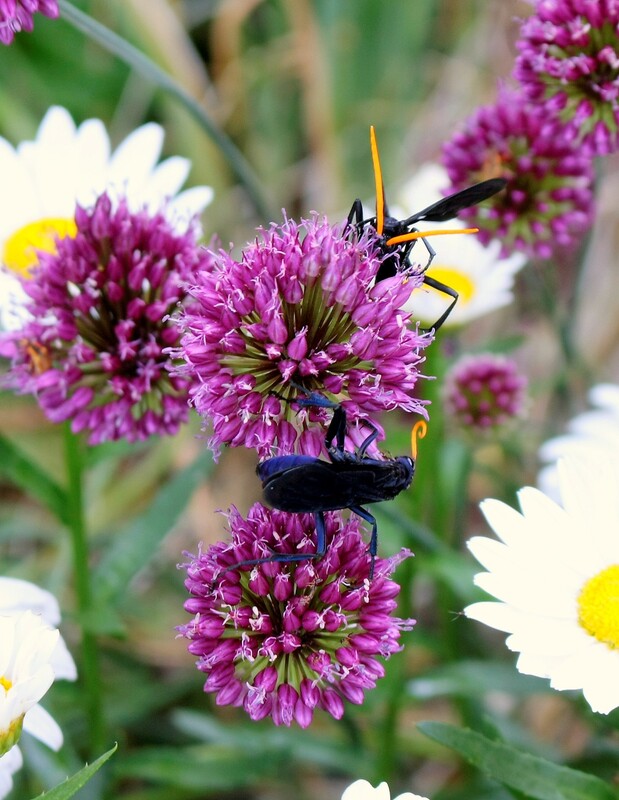 Surprisingly, some beetles are pollinators. 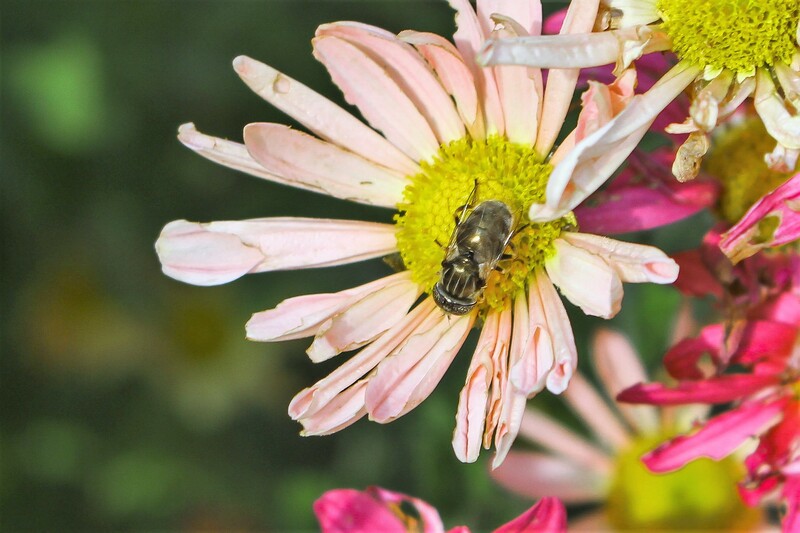 So before you get out the (organic) bug spray, diatomaceous earth and insecticidal soap you may want to learn to recognize a few good beetles and be happy to see them on your plants. As a flower gardener my interest is perennial plant gardening, so much of what is in this article will lean toward that kind of garden. Some plants available for flower gardens are unable to reproduce and have been derisively referred to as "lab plants"; that is, plants that are grown as cloned copies through tissue culture, which cannot be grown from seed. Hybrids are another class of garden plants, produced by cross breeding and careful seed saving. These plants are often less able to support pollinators. Also, many popular garden plants originated on other continents, and are inhospitable to local pollinators. The widespread use of these beautiful but non-local plants has resulted in loss of food and nesting places for local pollinators. The bee crisis has raised awareness that other pollinators and butterflies are also impacted by our changing landscapes. Gradually we have learned that native plants handle local growing conditions better, require less care, support local pollinators, and often are more resilient to our heat and cold extremes when planted properly. Planting to save pollinators can take various forms and be adapted to your garden’s style. You can still have a neat garden - it doesn't have to look wild to support insects and birds. Some try to attract a diverse group of bees, flies and beetles. Others seek to save a single species, for instance by planting several species of milkweed for Monarch Butterflies. Many worry they'll have to give up a classic garden design look, but native plants and native cultivars work well in more formal settings. You don't need a weed patch to attract pollinators! Consider substituting native plants or native cultivars as older perennials die out. Divide your old plants and donate them to a plant sale or a gardener who is starting out and add more environmentally friendly varieties of that plant. When looking for better plants, begin by looking for versions of plants that grow well in your garden and still can be grown from seed. You may already have some plants like Echinacea but they are sterile and don't attract bees (PomPom, anyone?). 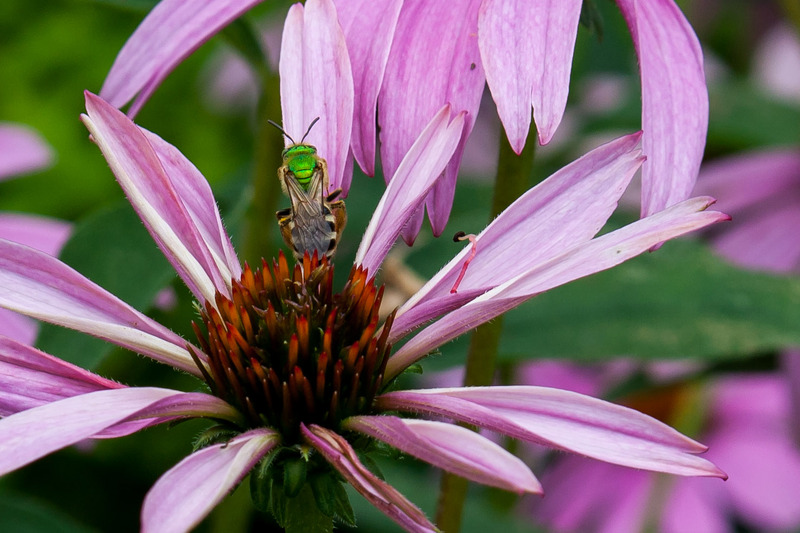 By picking those that are native to the state, like the Tennessee Coneflower or older varieties that can be purchased as seed you will automatically attract native bees and flies. Check out seed companies and garden centers that specialize in native plants to find the right ones. Remember to look for compact forms of wild flowers like Agastache (Anise Hyssop). More compact forms will be a little more neat and showy than the leggy native and usually attract bees and butterflies in droves! Providing plants that attract insects and bees for the entire growing season is also important. Include bulbs because many non-native types can attract bees. Camassia, a native bulb, has a lovely blue flower in mid spring. Alliums (members of the onion family) bloom at various times from spring to summer. Everything from Hyacinths and grape Hyacinths to Red Hot Pokers will bring in pollinators for nectar and pollen. Liatris (often called Gayfeather or Blazing Star) attracts hummingbirds, other birds that eat their seeds, and bugs, making them a wonderful "Twofer." Fruit trees, plants and shrubs, including cherry, apple, blueberry and strawberries, draw in many bees. The earliest cherries sometimes can be the only nectar source for bees in early spring. Avoid sterile types that don't produce nectar and pollen. There are quite a few landscape shrubs and bushes known to attract butterflies. While Spirea is my favorite when it comes to bees, Beautyberry, Sweetspire and Abelia are all terrific for providing pollinator habitats. 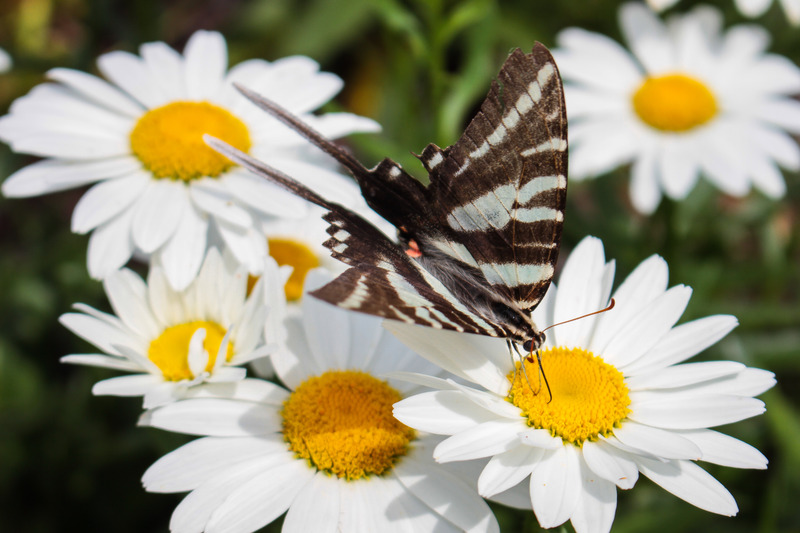 Familiar garden plants that can attract a diverse group of pollinators include Phlox, Black Eyed Susan, and Coneflowers. Phlox are natives with varieties that grow in sun or shade, are short or are tall, and each has a different bloom time. I find something is always buzzing on them. Attractive to cats, and repellent to mosquitoes, Catmint (Nepeta) is a bee-friendly plant, especially honey bees. Lavender is a great bee attractor while discouraging deer and rabbit grazing. Alliums, mentioned above with bulbs, also deter deer. Less well known native plants include ones with descriptive common names such as the False Sunflower and Sneezeweed, which both bloom from early summer through to the first frosts. Not every flower can attract all pollinators, so variety is key. 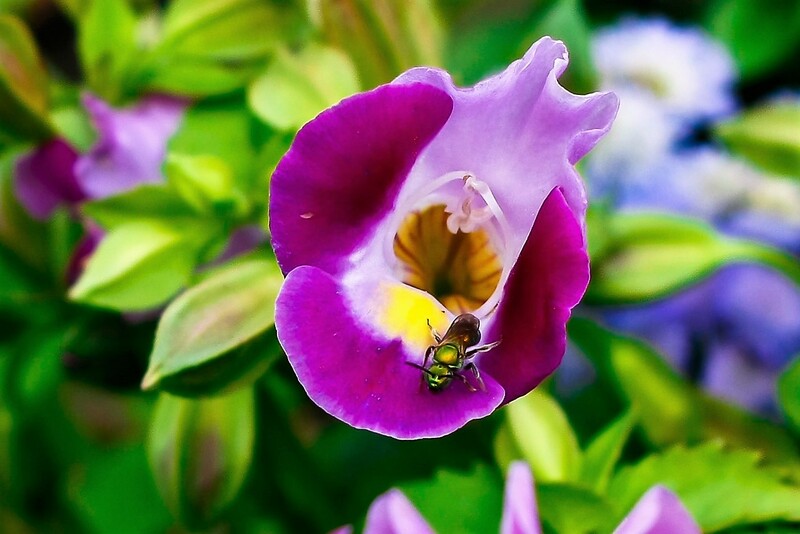 Penstemon and foxglove are examples of flowers pollinated more by hummingbirds and butterflies than by bees. 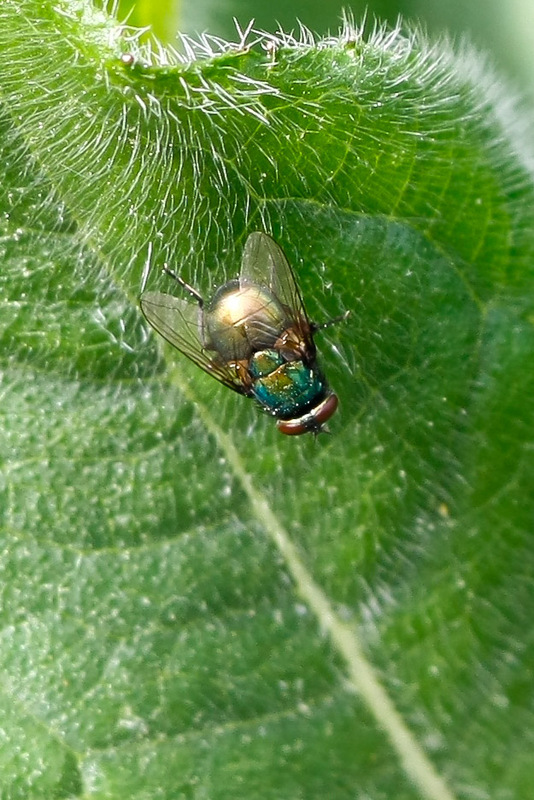 If you want to try fly-pollinated gardening, many flies are attracted to the same plants as mentioned for native bees. Dogbane, skunk cabbage, Jack in the Pulpit, and Dutchman's pipe are examples of smelly varieties that attract flies. They are not for every gardener! Fall bloomers, such as Sedum, are often overlooked. There are even cold resistant plants to try for late season color and a late source of food for pollinators, like Korean Chrysanthemums. 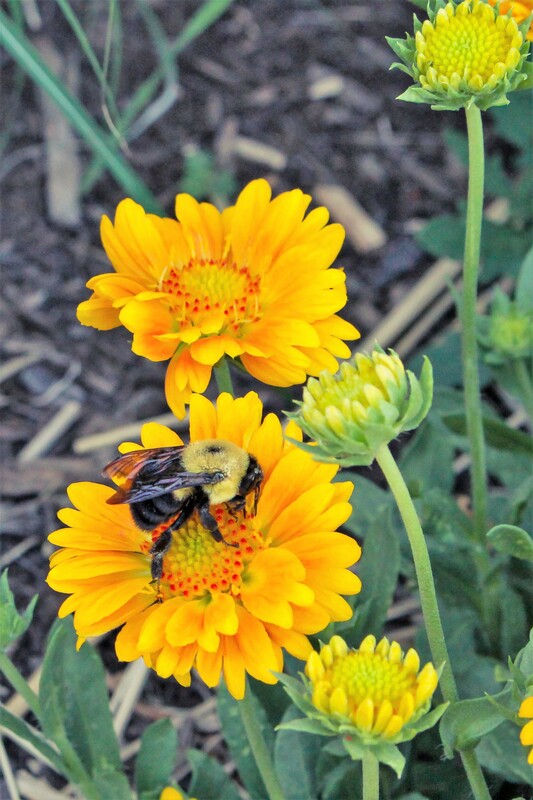 Unlike the popular fall "garden" mums, these attract many different bees in October and November until severe cold ends both flowers and bee foraging. Be careful, though, they are not native and can be a little invasive when situated well in the garden. If you would like more information on what pollinator friendly native and native cultivars have grown well in Blount County Master Gardener gardens, make sure you get a copy of the book Right Now! Attracting Pollinators to East Tennessee Gardens. Click on the book title for more information and to find out where you can obtain a copy.